MCSARA is the name which has been familiar to many women in the world. The company is one of the biggest hair suppliers in Vietnam. Our hair products are used in many countries such as Russia, the USA, the UK, Spain and some other Europian countries. We are proud to provide the hair products which are not only beautiful but also affordable and convenient. 32 inches weave hair extensions is one of them. 32 inches hair is the longest hair that MCSARA has. Since it is very long, you will look so tender and marvelous with our hair. The hair is totally remy hair with all cuticle remained, and hair strands are arranged in the same direction. That is why it is so soft, smooth, glossy with no tangles, no knots or crumbling. We clean the hair very carefully and classify it into different standards, textures and colors. When it comes to hair standards, there are four main ones. Single drawn hair is the hair which has both long and short strands in the same bundle. This makes it thicker in the top and thinner in the end of the hair. However, single drawn hair looks so natural. Double drawn hair is the hair which has more equally long hair, so its thickness is also more even. Super double drawn hair is the best hair in quality and it is also the most expensive hair extensions. 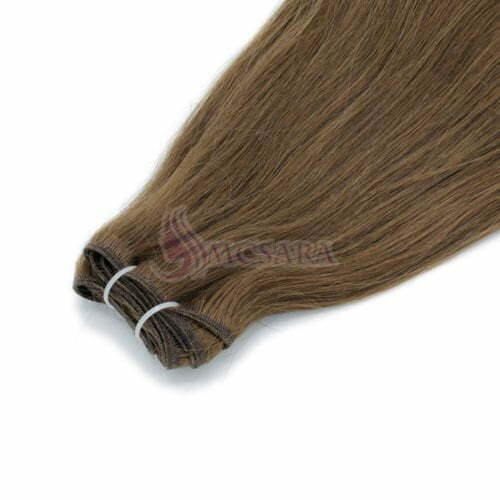 If you don’t love weave hair that much, we have other types of hair extensions for you. 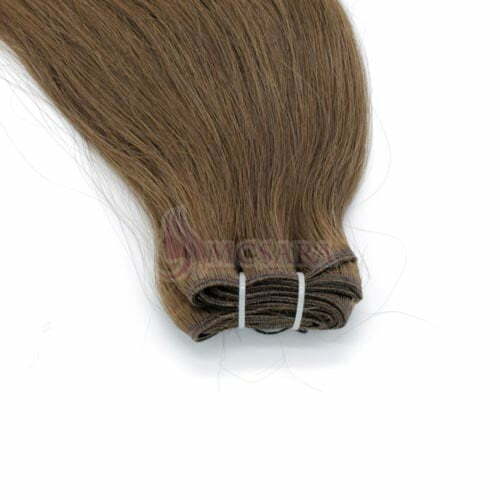 We have tape hair, tip/ pre-bonded hair and clip in hair extensions. In terms of hair texture, you can choose one of the following textures that you want. It would be so nice if you know what are the main colors of our hair extensions, right? We offer a wide range of choices for you. You can choose dark colors such as black color, dark brown, or some light colors such as light brown and blonde. 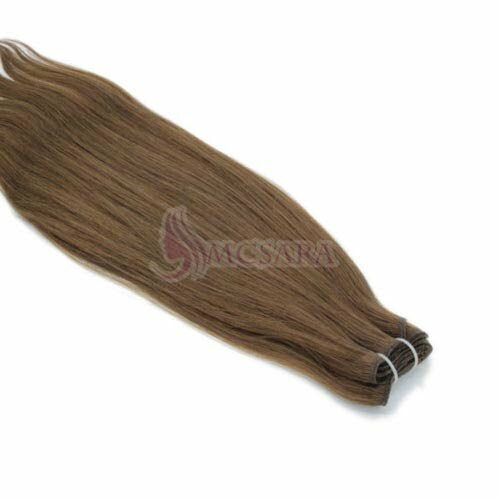 MCSARA hair extensions is made of 100% Vietnam human real hair with no chemical substances which can be harmful to your health. We use only the real hair which is self-explanatorily beautiful and natural. 32 inches weave hair is one of the longest hair we have. You need to follow these steps to apply the hair properly. Divide your hair into two sections and tie the top section with clips or elastic. Make a horizontal line in lower section of your hair by making a braid. Apply the weave hair by sewing it with the horizontal line. Loosen the top section of your hair to cover the root of your hair.